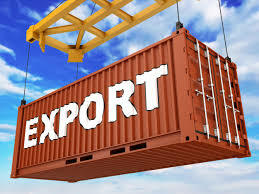 There is a steady trend of increasing export from the beginning of the year in both the EU and third countries. ” This was stated by Deputy Economy Minister – Daniela Vezieva, on a meeting with business representatives in Ruse, announced the press center of the ministry. The meeting discussed topics related to the interest of bilateral cooperation between Bulgaria and Moldova. Deputy Minister Vezieva presented opportunities for mutual trade and investment after the seventh session of the Intergovernmental Bulgarian-Moldovan Commission for Economic Cooperation, which was held on 10-th and 11-th of September in Chisinau under the co-chairmanship of Deputy Minister of Economy, wroted iNews. It focused on investment opportunities in the food industry, pharmaceutics, tourism and IT industry, as such as the opportunities provided by free economic zones and industrial parks in Moldova. Soon In Ruse will be organized Bulgarian-Moldovan business forum.